Our noteworthy entity is dedicatedly engaged in manufacturing and supplying Fully Automatic Three Die Paper Plate Making Machine. We are based in Delhi, India. We are backed by a team of experienced professionals, who use the optimum grade components and progressive techniques for fabricating it. We have a great reputation for making timely deliveries of our consignments. 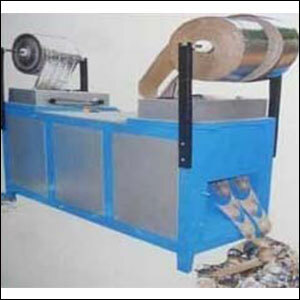 Our offered Machine is highly praised for its rigid structure, perfect finish, and long working life. We offer it at a pocket-friendly rate.